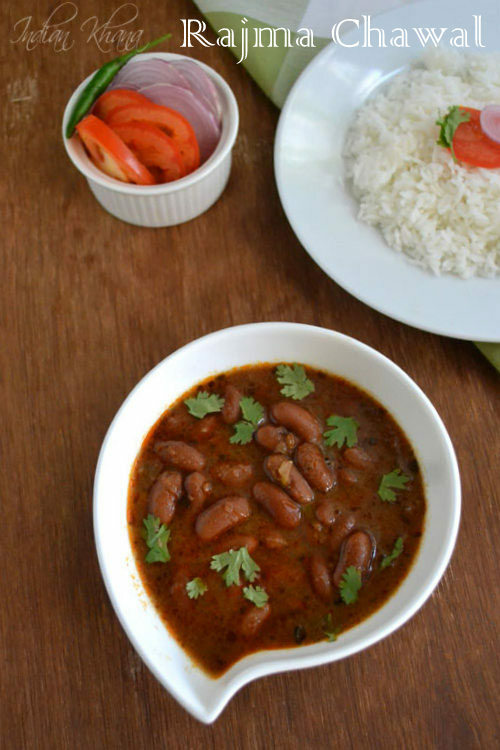 Rajma chawal, the staple food for Punjabi's if you visited Delhi you can find rajma chawal everywhere during lunch time; street hawkers or small shops selling pipping hot rajma chawal, chole chawal and in everyone's hand you will find the same thing. 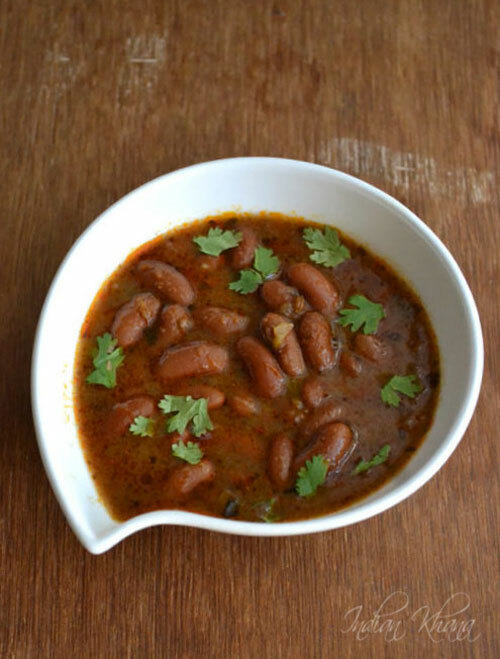 I make rajma quite often or say even weekly once rajma, chole, lobia will be featured in menu and we all love it specially DH love his rajma rice being in Delhi for ages he adapted the Delhi food style so much. 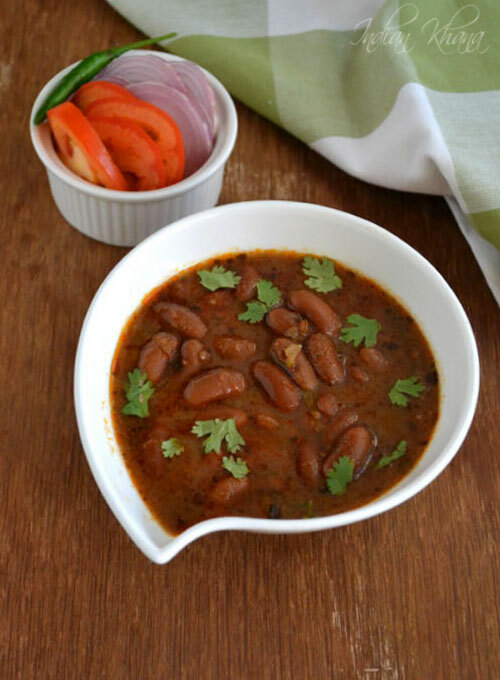 Rajma masala or curry we can have it with rice, paratha, roti anything of our choice though rajma and rice is the popular combo, a simple salad of onion, tomato on side and it's becomes comfort food. I took rajma curry pictures so many times but it never made it to blog for some or other reason and this time when finally I am posting it there's not step wise pictures :( ...I didn't had plan to post rajma so didn't took step by step pictures. But the rajma came so well and delicious that DH whom hardly compliments anything; every time I have to ask him "so, howz the food" and his usual answer "ya, it's good"!! complimented much this rajma on that particular day so I thought to share my joy with you all. You can also make this for lunch box along with rice or roti just remember to soak the beans the previous night or you can use canned beans too for a quicker version. I hardly used canned beans rather do the classic way I believe but the choice is yours, let's just enjoy the rajma masala for now. 1. 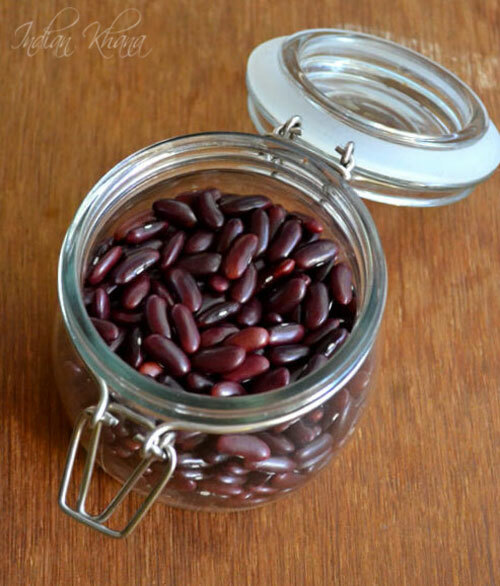 Soak rajma(red kidney beans) in ample of water for 8-10 hours or over night. Drain and and pressure cook with bayleaf, cloves, cardamom, cinnamom, 1/2 tsp salt and 2-3 cups of water (rajma should be totall immerse in water)for 4-5 whistles, once presure released discard all the garam masala and keep the water. 2. Meanwhile finely chop onion, toamtoes, chilli, coriander leaves. 3. In a pan or wok heat oil add hing, cumin and allow to crack. Add onion, chilli, ginger-garlic paste and saute until onion becomes soft. 4. Add chilli, turmeric, coriander powders and mix well, saute for a minute while stirring. 5. Now add tomatoes and stir, cover and cook until tomato gets mashed, stir in intervals. 6. Add cooked rajma and saute for a minute. Now add the rajma cooked water and bring it to good boil cover and simmer for 10 mintues in medium flame. 7. Add salt, crushed kasoori methi, amchur powder, cumin powder, garam masala powder and stir to mix well. Simmer in slow flame for another 5 minutes or until gravy becomes thick. Garnish with coriander leaves and off flame. Serve warm with steamed rice, jeera rice or roti/paratha. And sending this to Siri's My Legume Love Affair 62 a event started by Lisa and Susan. You should discard whole garam masala from rajma gets cooked. You can also add the whole garam masala direct in oil along with cumin seeds but I like to add while we pressure cook rajma it adds more flavor. You can grind onion and tomato and use it instead of chopping. 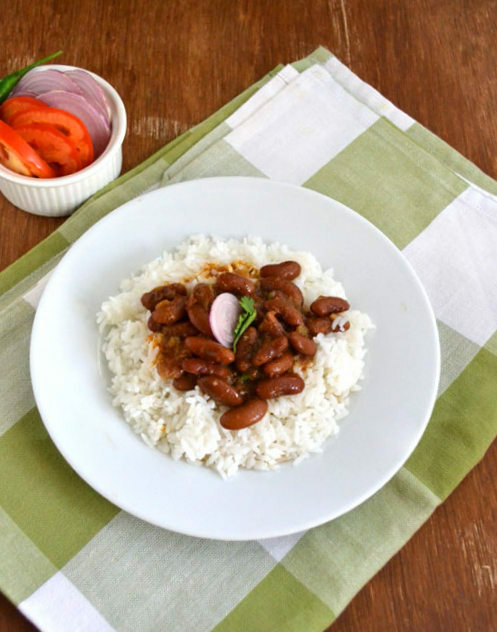 Cooking time for rajma depends on the quality of rajma, don't buy the dark brown color it takes long time to cook. And yes the rajma picture I posted does look dark brown but it cooked fast and always so soft one of the best rajma I got. You can skip cumin powder, kasoori methi and keep the rajma simple it's really work that way. 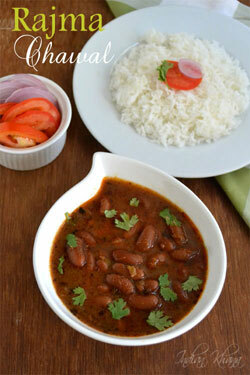 You can use canned kidney beans, discard the syrup and rinse rajma before adding it to gravy.